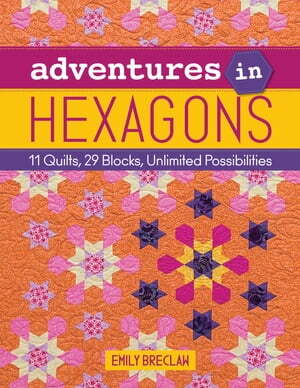 Collins Booksellers - Adventures in Hexagons by Emily Breclaw, 9781617452833. Buy this book online. Move beyond one-patch hexagon layouts with 11 show-stopping hexie projects to stitch by hand or machine. Sew blocks in a variety of sizes and pieced combinations for stunning visual effects! You'll master the Y-seam with a variety of techniques to cut and piece hexagons. Mix it up with the author's design primer, which gives you the tools to draft your own unique hexie quilt layout.